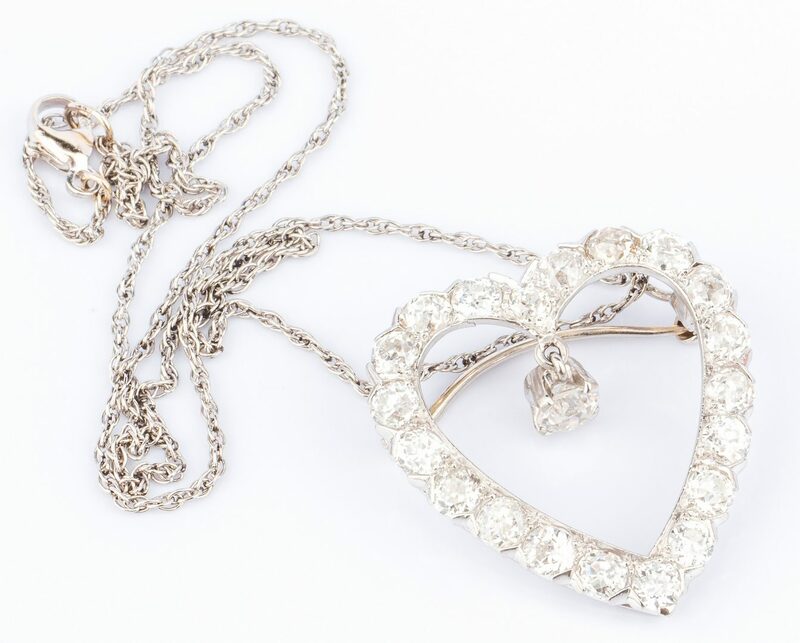 Lot 396: Diamond Heart Pendant, 3.26 ct t.w. 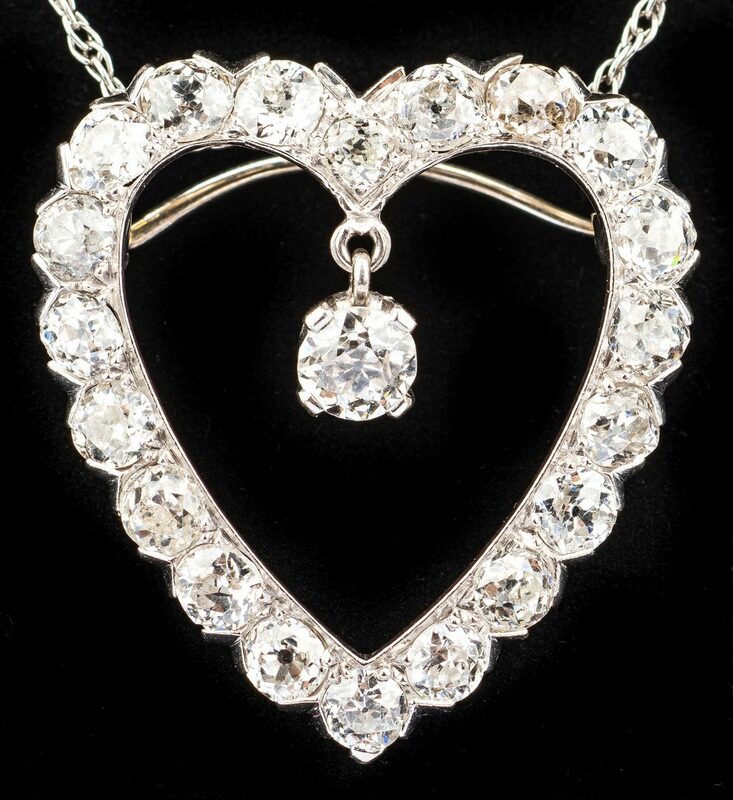 You are here: Home >> July 14, 2018 Historic Summer Fine Art and Antiques Auction >> Lot 396: Diamond Heart Pendant, 3.26 ct t.w. 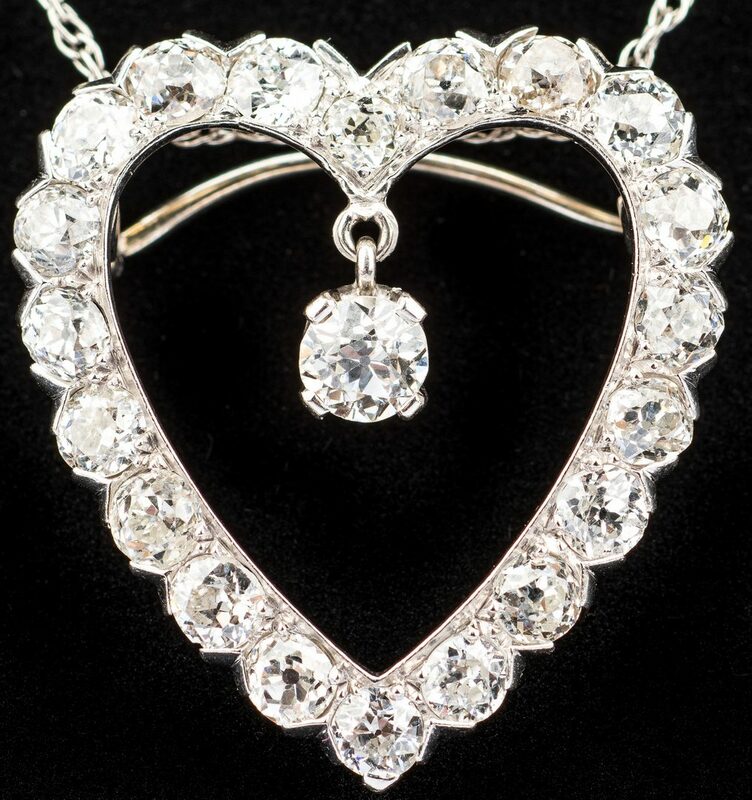 One platinum diamond heart pin/pendant containing twenty (20) round old European cut diamonds estimated by appraiser with a total weight of approximately 2.80 cts and one (1) round old European cut diamond drop measuring 4.82 x 4.89 x 3.17 mm and weighing approximately .46 ct. Total diamond weight: 3.26 cts. 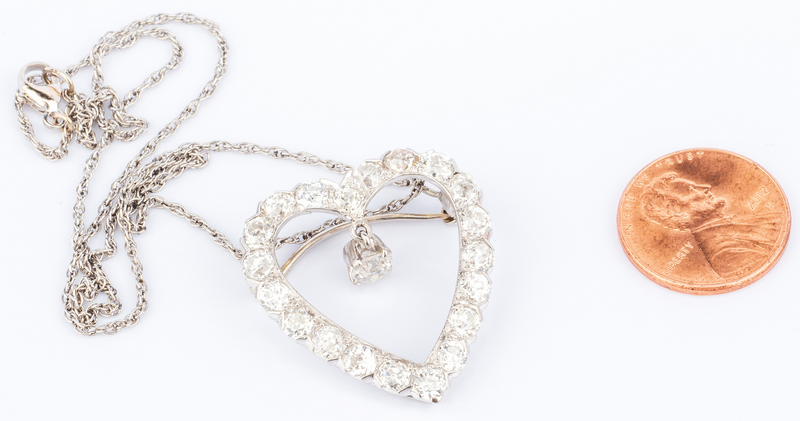 All diamonds range from H-J color and VS to SI clarity. An arched pin clasp hides behind top of mounting. 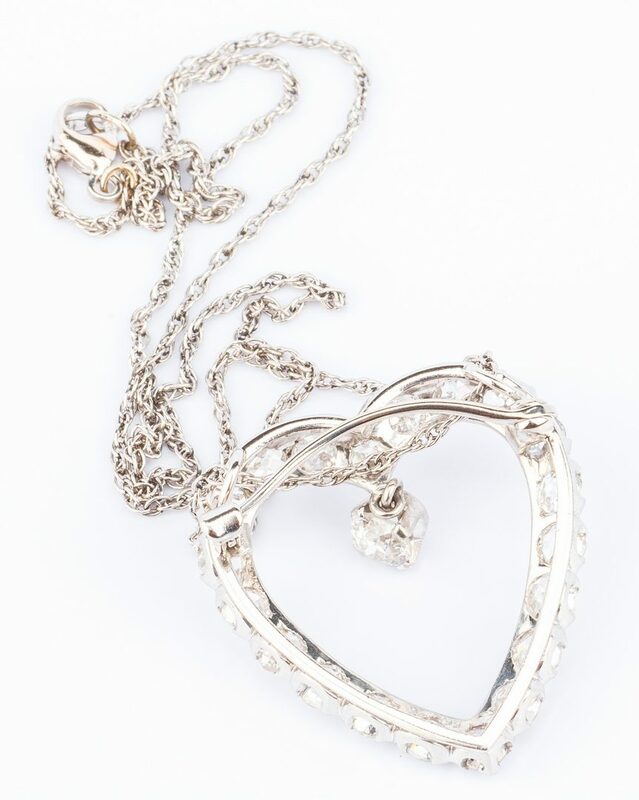 A 15" L 14K white gold rope chain is strung on two narrow loops mounted at top sides of heart. Heart – 1 1/8" H x 1 1/16" W. Platinum tested, not marked. 11.2 grams t.w. Provenance: Private collection, Knoxville, TN. CONDITION: Very good condition.